The Oral History Society's Schools and Young People Group has developed A Guide to Oral History for Schools and Youth Groups. This important set of resources is designed to support teachers and anyone working with young people on oral history projects. Oral history is a living history of everyone’s unique life experiences, and so is relevant to most subjects in the national curriculum. It is also an ideal activity for youth groups, where young people may think they have no interest in the past but do want to learn to use recording equipment or to become interviewers – and are then gripped by the stories told by their interviewees about childhood experiences or changes in the locality. 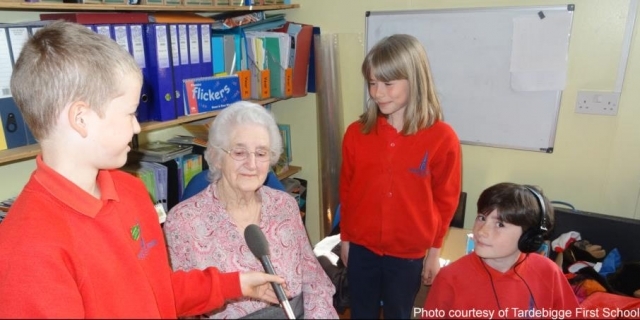 Recording older people's memories helps young people develop a number of valuable life skills, increases their confidence, raises their interest in curriculum subjects and improves community relations.